Our 4-bedroom, 4-bathroom home in the heart of this thrilling 16th century colonial capital is full of high ceilings, yard-thick walls, patios and rooftop vistas. 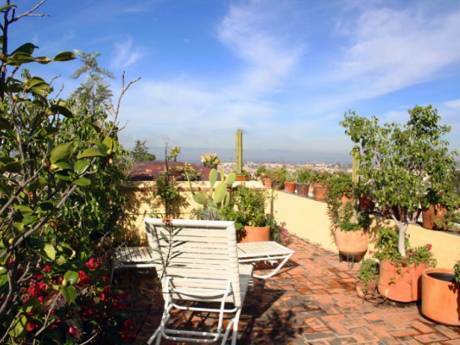 Located on a historic walk street in the city center, the house is quiet and removed yet only minutes away from shops, museums, restaurants, plazas, language schools and the university. It has tiled floors, high beamed ceilings, a commodious kitchen/dining room, and lots of old details and crafts. We are writers (he American, she Danish) with a trilingual 7-year-old daughter and have lived in Guanajuato for 7 years. I am a writer of ten books, fiction and nonfiction, including ON MEXICAN TIME and MEXICAN DAYS (Random House/Broadway), both books on my Mexico experiences. Karen is a writer and translator from English and Spanish into Danish. 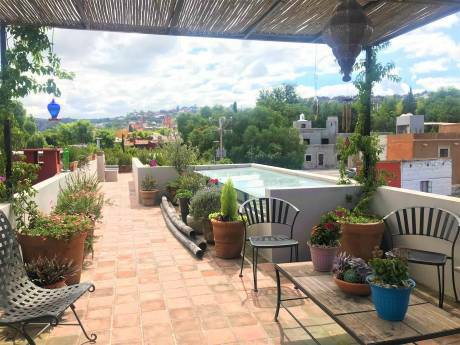 We live in the heart of Guanajuato, a capital city of 140,000 people, surrounded by churches (and church bells), hillsides, subterranean tunnels, and countless little plazas (called plazuelas), cafes and restaurants, galleries and museums. 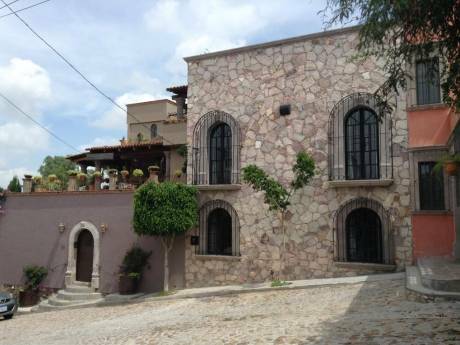 There are other wonders on the immediate outskirts of the city (haciendas, hiking trips) and further afield (San Miguel de Allende, the old mining town of Pozos). Rich in culture and education, it's a wonderful environment.